Emergency bullhorn - battery operated with 300 yard range. The Emergency Bullhorn is recommended for emergency response broadcast communication. It is essential for all command centers. Following emergencies it is critical to be able to broadcast to everyone the appropriate recommended instructions which can save lives! Don't find yourself and others helpless and unable to reach all survival victims including possibly your loved ones, students, or employees when seconds count! Bullhorns are commonly used by airlines, boaters, police, fire departments, schools, etc. Emergency response personnel use bullhorns for crowd & traffic control, evacuation instructions, event control, and disaster preparedness response/training. 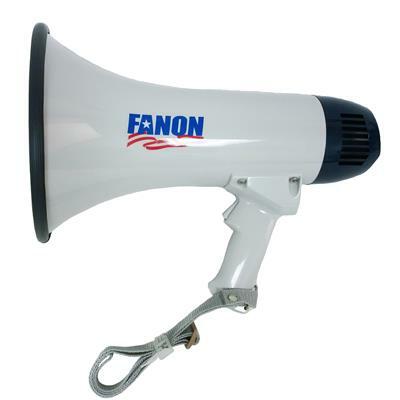 Dimensions: 9.5" x 8" x 14"
Gives years of use from this low-priced, but rugged megaphone.